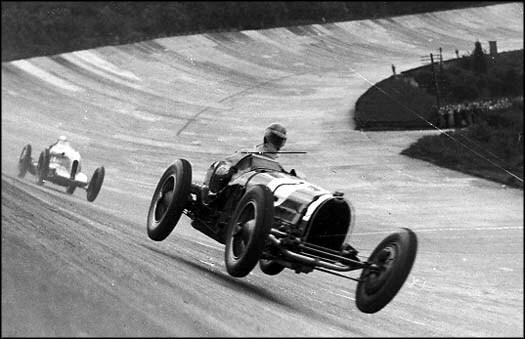 Only few things are as exciting as classic cars to me and old abandoned racetracks are one of these. Audi and Red Bull seem to share my opinion in this regard and decided to take an R8 LSM to one of the oldest race tracks in Europe, in fact possibly the second ever made. 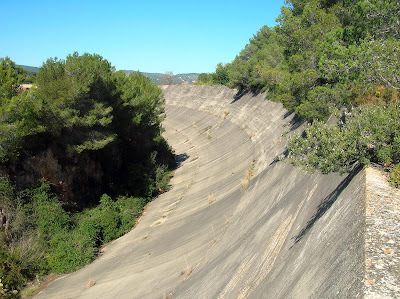 But the Autódromo de Sitges-Terramar is far from being legendary for the right reasons. The track was completed just in time to host the 1923 Spanish GP but none of the drivers or teams received any money since the builders didn't get payed for their work and decided to seize the ticket office and take all the money. As if that wasn't enough the drivers complained about the junctions between the scary 60 degrees bank and the straights being apparently not well connected. This particular detail is ever so clear in the Red Bull video where some nice slow-mo underline the car trading the rough gap. I don't understand spanish too well but is pretty clear that the point of putting Carlos Sainz and Miguel Molina in the R8 is to beat the 45.8second lap record set by Louis Zborowski Miller in 1923. It is impressive to see that the record is improved only by three seconds with Sainz lowering the bar at 42.6. The track might have had its troubles but the quality of the construction is incredible and the colossal banks look scarier than ever before. Enjoy. My dear friend Brad at automobiliac.com just pointed out that the period picture is actually Howe’s Bugatti T59 and the Barnato-Hassan at the bump, at Brooklands. Thanks Brad! Have all you guys been on his website yet? Do yourself a favour and check it out. There are some real gems to be read there.